Runtime: 3 hr. 1 min. debit card or credit cards. Get there early to get a good spot! If bad weather! Please call 814-266-9177 to make sure we are playing! Merge onto PA-56 East / WINDBER/SCALP AVE Exit toward WINDBER. 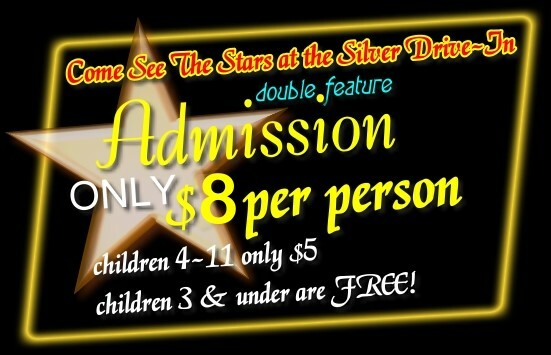 The Silver Drive-In is about 1/2 mile on the RIGHT. Take the PA-56 East / SCALP AVE Exit toward WINDBER. Take the SCALP AVE/PA-56 East ramp toward WINDBER. Turn LEFT onto PA-56/SCALP AVE.